As long as we continue to be conditioned by our feelings, our intellect will be obfuscated, rendering us unable to reason things out. One of the main consequences of this situation is that we become incapable of talking about issues, which we reduce simply to an ‘us against them’. Every now and then, something crops up that brings the relationship between the Labour Party and the Church to the fore. This relationship has not been very good at least since the 1960s. Not many people remember what the quarrel between the La­bour Party and the Church of the 1960s was about but practically everybody knows there was a quarrel. Even more important is the fact that that quarrel had genera­ted very strong feelings and these feelings have been passed on to later generations. These later gene­rations know even less what the issues of the 1960s were but they still carry the feeling that the other (the Church or the Labour Party, depending on which side their elders were on) is against them. Psychologists tell us that feelings are registered by the body and continue to influence our perception even after what had caused them in the first place has been forgotten or is unknown. Actually, this situation is even more intense because, being isolated from an issue, the feelings remain ‘floating’ and we become much less able to rid ourselves of their influence. This situation continues to make dialogue between the Church and the Labour Party extremely difficult. Archbishop Charles Scicluna rightly said that the issues of the 1960s happened even before he was born, that they belong to the past, that they have been resolved. But although belonging to the past, these issues are still alive because the body does not forget. This needs to be kept in mind because it is not doing anybody any good, and politicians and the Church need to find a way to overcome it. As long as we continue to be conditioned by our feelings, our intellect will be offuscated, rendering us unable to reason things out. 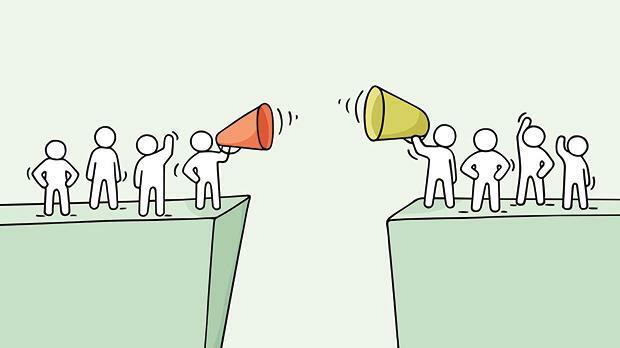 One of the main consequences of this situation is that we become incapable of talking about issues, which we reduce simply to an ‘us against them’. While reading most bloggers, who in some way may be representative of the population, this be­comes very obvious. There are very few who argue the issues; most resort to “You Nationalists”, or “You Labourites”. Although not always in an explicit way they also say “You Church people”. As long as nothing is done to rectify this situation, we shall remain victim of prejudice and when this happens we will all be losers, be­cause rather than joining forces to find the best solution we use all our energy to fight the other so as to impose our solution. In this way everybody becomes a victim. Finding a solution is far from easy but not impossible. In the first place the situation needs to be re­cog­nised and taken into consideration when putting forward our point of view. It is not enough that what we are saying is objectively correct; we also have to see how it is perceived by the receiver of our message. If the receiver is unable to understand our logic, because of pre­judice generated by feelings, simply talking objectively could be like using anti-aircraft wea­pons to shoot at submarines. Great care should be taken, especially by our leaders, that what is being discussed is the issue, not the party or the persons. Intense effort needs to be made by all to favour the growth of trust. Lastly, the heavyweights should understand that if they really want the good of the people they should not have hidden agendas. Fr Alfred Micallef is a member of the Society of Jesus.